The DeWitt Wallace Decorative Arts Museum. ‘Threads of Feeling’, the exhibition of textiles from the London Foundling Hospital curated by John Styles, opened at the DeWitt Wallace Decorative Arts Museum, Colonial Williamsburg, Williamsburg, Va., USA on May 25th, 2013. The exhibition continues there until May 26th, 2014. 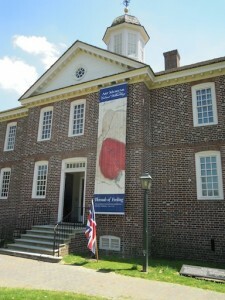 John was at Colonial Williamsburg for the opening event on May 29th. The previous day he gave a public lecture on ‘Foundlings, Philanthropy and Textiles in Eighteenth-Century London’. 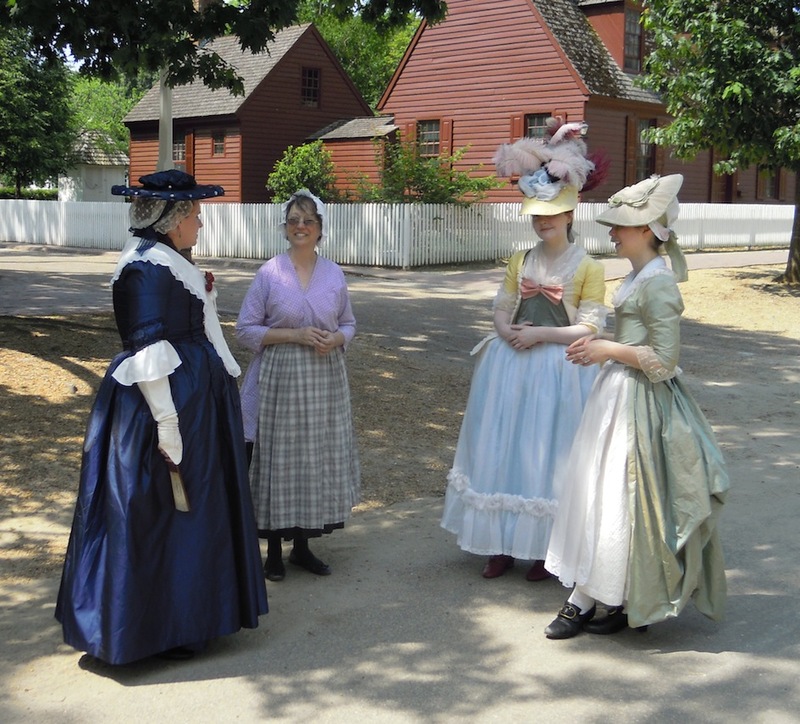 Williamsburg ladies on their morning walk. At Colonial Williamsburg, he particularly enjoyed visiting the Margaret Hunter Millinery Shop and talking to Angela Burnley of Burnley and Trowbridge, expert re-creators of historic fabrics. You can find a full description of the project on the About page, see pictures of cloth viewed through a microscope on the Gallery page, and read about our team and our colleagues. More material will be added as this project progresses, and news of it will be added to this blog. You can keep up with our progress through our RSS feed.